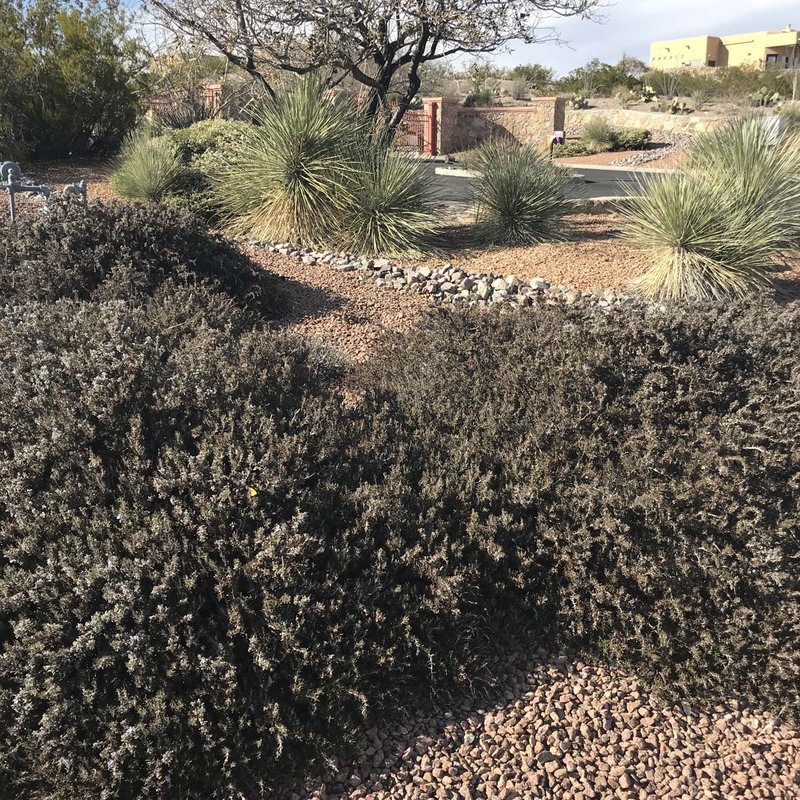 Posted on 11/25/2018 11/26/2018 by Desert Dweller | David C.
90 minutes walking nearby, good landscape design was a bonus to the exercise and temperatures in the high 60’s F / 20 c.
All photos were captured with my iPhone. Cue this fine song by Calexico. A well-contrived stepped wall profile and its stucco color play nicely with a trio of our Dasylirion wheeleri / Blue Sotol. 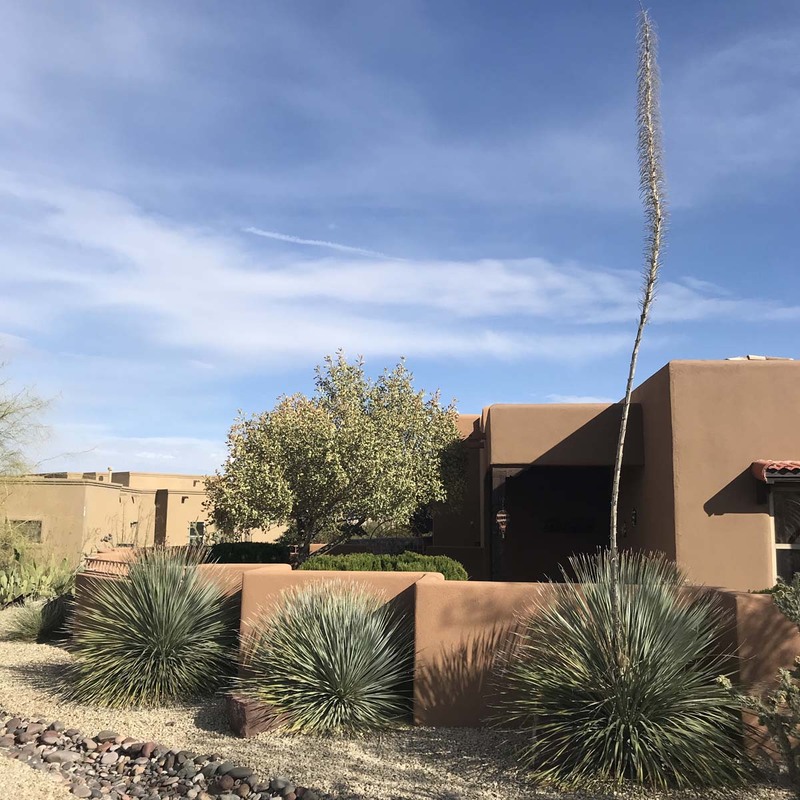 With more shrubs and only 2 far-separated accents of Yucca torreyi / Torrey Yucca and Dasylirion wheeleri, this is reminiscent of xeriscape designs a few hours north. Artemisia filifolia / Sand Sagebrush, Ericameria nauseosa / Chamisa (yep, “nauseosa” – sniff the blooms! ), and Fallugia paradoxa / Apache Plume. 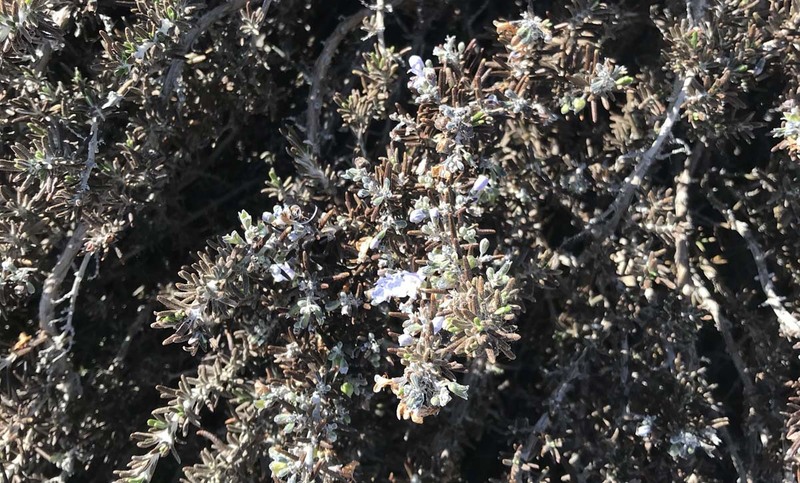 It holds moderate interest all winter, but when the Artemisia is weighted down by monsoon moisture together with the Fallugia covered in white blooms and pink seedheads – wow! All those plants occur in nearby arroyos, except the chitalpa tree in the couryard. Don’t get me started on that tree and those who still use it in futility. Our first freeze on 11/12 was right near our average date, except the 18F / -8c low the following morning was rather early. So were the next 4 mornings below 28F / -2c. Hence, most of our area’s trailing rosemaries were in active growth and shocked. Fortunately, an abrupt change to freezing rarely affects the whole of a design based on principles such as sense-of-place, form, or rhythm. 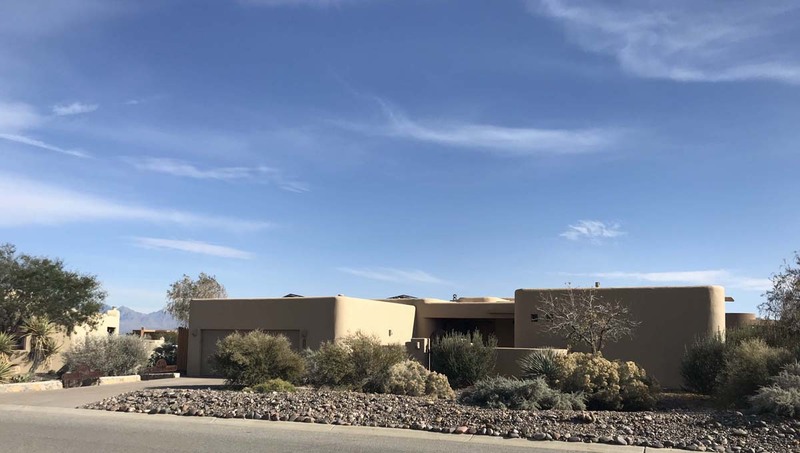 Nothing unusual is at this house, which is a common theme in parts of Las Cruces. It uses well-placed evergreen accent or succulent plants, to evoke our local sense-of-place all year. Yucca baccata / Banana Yucca, Fouquieria splendens / Ocotillo, with Torrey Yucca, a couple blue sotols, and a large Opuntia ellisiana / Cacanapa Prickly Pear. It’s economical, requiring little maintenance or irrigation. 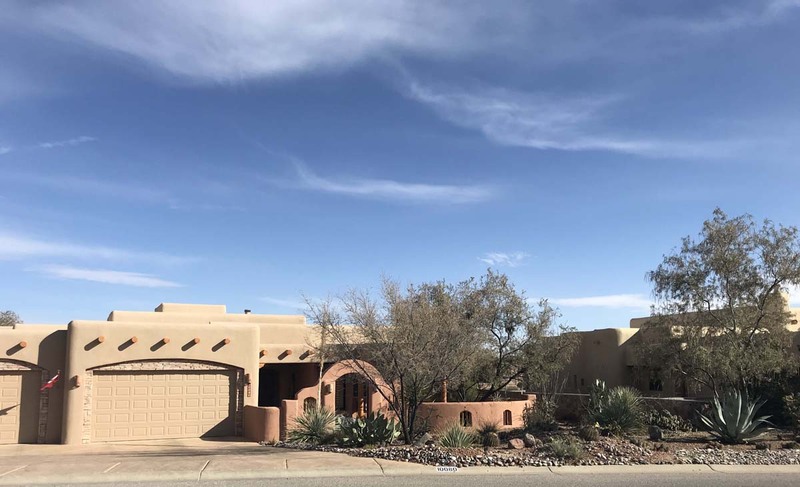 That house’s front yard nicely contrasts the almost peachy stucco color and the dusty-blue desert skies. Finally, this is somewhat like the above landscape, except there are trees. 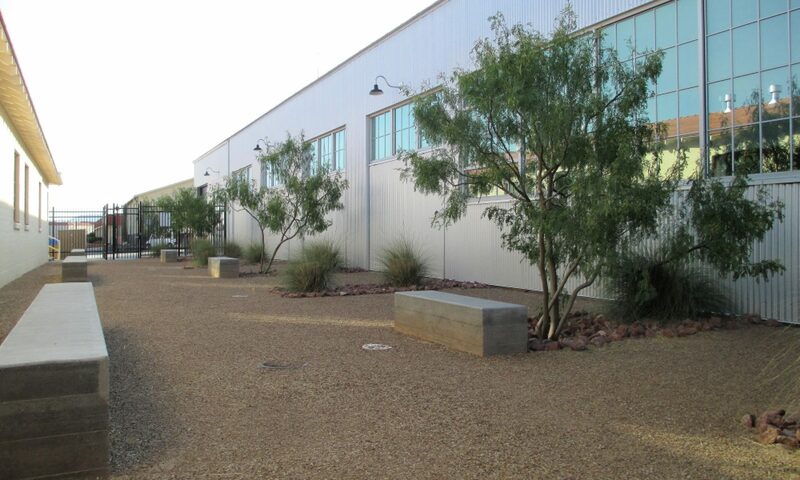 A Prosopis pubescens / Tornillo or Screwbean Mesquite outside and a Prosopis glandulosa / Honey Mesquite inside. Plus, various agaves, sotol, and other spikiness were used in a naturalistic manner. Love the landscapes! Thanks for sharing. Glad to share, there are many, many quality front yards to see. Not to mention back yards once I know some more people in the ‘hood! The last one is rather lovely! 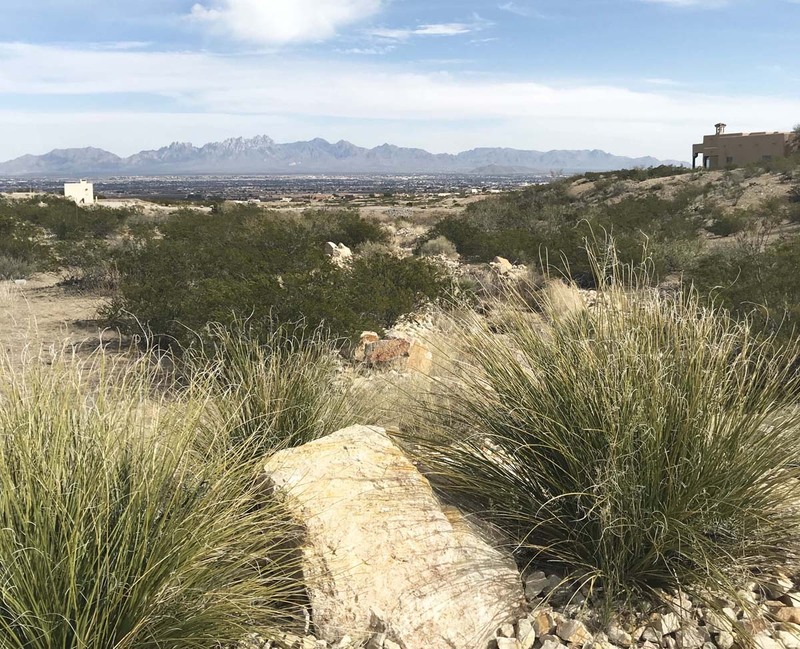 Agreed, and now I find your blog and the Davis Mountains trip!